Wolves athletes set a total four meet records at the first annual Rick Scott Open Indoor Track Meet at the Multiplex on Saturday. Eric Martinek led the way in the mens 800m, stopping the clock at 2:16.2. Amanda Patteson ran a personal best time of 2:37.5 to take the womens 800. The mens 300m was a closely contested affair, with Torlief Landsgaard (41.0) edging out Duncan Farrow (41.4) for the win. Christie Shepherd (55.0) had the quickest womens 300m time. 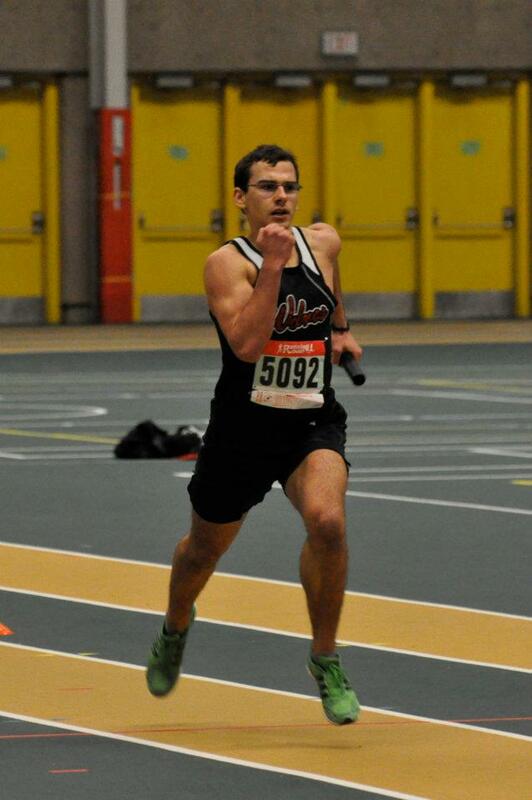 This entry was posted in Indoor Track and Field, Uncategorized and tagged ACAC, Eric Martinek, GPRC Wolves, GPRC Wolves X-C Running, Grande Prairie Alberta, Grande Prairie Multiplex, Indoor Track, Track and Field, Wolves Athletics Club. Bookmark the permalink.